The latest addition to Rob Howard’s long list of well-researched books on the world of the accordion. 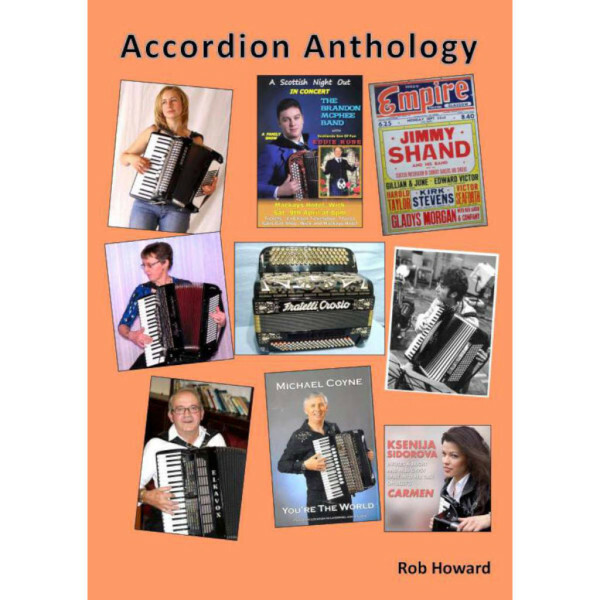 This is a book for the enthusiast for sure, ‘Accordion Anthology’ is full of interesting articles and biographies, 320 photos, wrapped in an A4 sized hardback cover, and a high quality production which has become the mark of Rob Howard’s books. Make sure you add this one to your collection!